Travel and Leisure Group are proud to offer timeshare for sale at a wide range of resorts and locations worldwide. With dedicated staff on hand to assist from our Sudbury based head office and offices in London and Norway’s capital of Oslo. We are well positioned to sell timeshare across Europe. When buying timeshare through Travel and Leisure Group you are buying from existing owners. This leads to savings of up to 50% on the developer’s list price. We have unrivalled experience in the timeshare resale sector. Our extensive international network means we can help you find the perfect timeshare for sale that meets your needs. Can’t find what you are looking for? Feel free to give our sales team a call on 0800 071 4674. They will happily go through our available sales stock in an effort to find the right timeshare for you. With resort developers focusing on customer services more than ever and customers reporting satisfaction with their timeshare time and time again, now is a great time to buy timeshare. Examples of this can be seen through awards being given by TripAdvisor to developers such as Club La Costa, Anfi Group and Marriott. There are also a wide range of resorts reaching RCI Gold Crown status. Travel and Leisure Group have a wide selection of timeshare for sale at these resorts and many others with a wide range of listings being shown on our sites. Click here to view a selection of our currently available timeshares for sale. Leading resorts such as Club La Costa, Diamond Resorts International and Macdonalds recommend our services. Purchasing timeshare for sale through Travel and Leisure Group gives owners FREE membership to Dial an Exchange. We offer realistic prices with transfer of ownership carried out by our experienced staff. Travel and Leisure Group offers a fourteen day cooling off period inline with current timeshare legislation. We are specialists in points, resales and US stock. The only company where monies are deposited into a trust account; administered by FNTC. No funds will be released until title deeds are transferred to the purchaser’s name; giving you ultimate protection until the agreement of sale. Timeshare for sale from Travel and Leisure Group comes with a variety of options from timeshare resales in the Canary Islands to timeshares in London, Mayfair. When buying timeshare through Travel and Leisure Group you are buying from existing owners. This leads to huge savings when compared to buying directly from the developers. Not only this but all our sales stock can be exchanged through exchange programs RCI, II and Dial An Exchange. This gives members access to a choice of up to 5,100 resorts in over 110 different countries. Exchange programs such as these allow timeshare owners to make use of their investment to whilst visiting locations such as Barbados and Orlando instead of their home resort. Timeshare with Costa San Antonio provides charm, stunning value for money, and excellent facilities, all in the picturesque setting of Qawra, Malta. The resort is comprised of nearly three hundred rooms - sixty of which are family-centric, eight of which are large suites, and one of which is a large presidential suite. A truly Mediterranean experience, your stay at this resort will be comprised of relaxing as little or as much as you want - you can either spend your days lying in the sunshine by the outdoor infinity pool and eating in the numerous fantastic onsite restaurants, or you can keep active with a state of the art fitness centre, excursions to the local area, and plenty of shopping nearby! 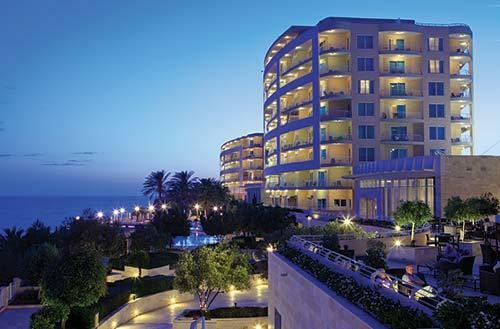 To view a selection of timeshare for sale at Costa San Antonio, Malta click here. A great escape to paradise is exactly what you get with fractional ownership at Club La Costa Paradise Club. Take a week off from your everyday life and find yourself enchanted by the charm and allure of this high standard resort in Tenerife, Spain - known by the local residents as the Island of Eternal Spring. No matter what time of year you go, you'll get to experience good weather in a fantastic location that seems like it was made specifically for your holidaying pleasure. Spend your days by the heated free-form pool, reclining in the Jacuzzi, keeping up your routine in the fitness centre, and enjoying the views of La Gomera from your sun-drenched balcony. 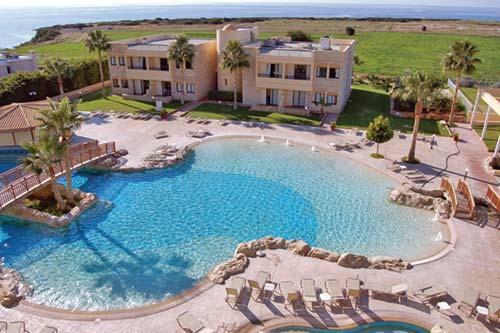 To view a selection of timeshare for sale at Club La Costa Fractional Ownership The Paradise Club click here. What do we think of when we think of France? Is it the amazing, refined cuisine? The music playing in the streets? The rich history and world-renowned culture? At Travel and Leisure Group, we think of timeshare with Marriott's Village D'ile de France, located a short distance from the capital of Paris. French townhouses in a picturesque countryside setting will greet you upon arrival, and you can choose your view from the pool, the lake, or the golf course-such views of this area are amongst those that inspired two of the greatest artists in the world: Monet and Van Gogh. 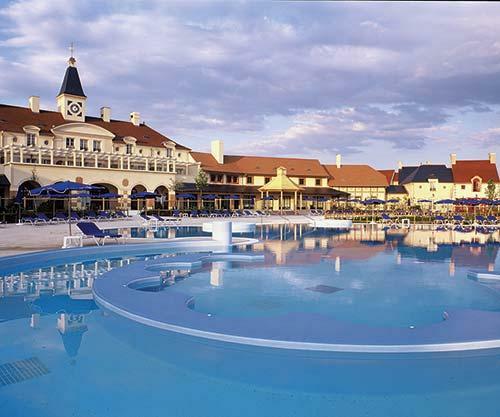 To view a selection of timeshare for sale at Marriott's Village D Ile-de-France click here. This cliff-top paradise promises an unforgettable experience. Island Residence Club Golden Sands is a true gem in the commanding location of Mellieha-only a short drive to St. Paul's Bay and Bugibba, along with the ferryboat that connects to Malta's sister island of Gozo. Timeshare with this resort will provide endless entertainment, and you will always find something to keep you busy. If you're looking to purchase a winter getaway, take advantage of the heated indoor swimming pool. If its summer sun you've got your heart set on, take a leisurely swim in the outdoor pool. After a day of scuba diving, tennis, or boating, treat yourself to some time at the spa or hot tub before heading down to the restaurants for dinner and live evening entertainment. To view a selection of timeshare for sale at Island Residence Club At Radisson Blu Resort & Spa, Malta Golden Sands click here. Escape to Paphos, Cyprus, a destination often overlooked by holidaymakers, with timeshare at Panareti's Royal Coral Bay resort. You'll be welcomed into a stylish apartment, fully fitted with everything you could need for a relaxing holiday. A few steps will carry you to a tiny, yet safe and stunning, Mediterranean beach, and the complex looks out over the ocean and provides spectacular sea views. This resort has struck just the right balance between modern and traditional design, and the facilities are everything you would expect, including full spa, a gym, children's play area, and both indoor and outdoor pools. To view a selection of timeshare for sale at Panareti’s Royal Coral Bay Resort click here. The charm, the tradition, and the elegance: it can be none other than Marriott's Playa Andaluza at the heart of the Costa del Sol, Malaga, Spain. Marriott timeshare resorts are renowned for their high standards, and this resort is no different. Located on the stunning Matas Verde beach, views will be magnificent twenty-four hours a day whether you're taking a stroll along the seafront or sampling local cuisine at the plethora of nearby eateries. Shopping at the "Millionaire's Paradise" of Puerto Banus is a mere stone's throw from the resort, along with an entire region of original Andalusian villages that transcend time. 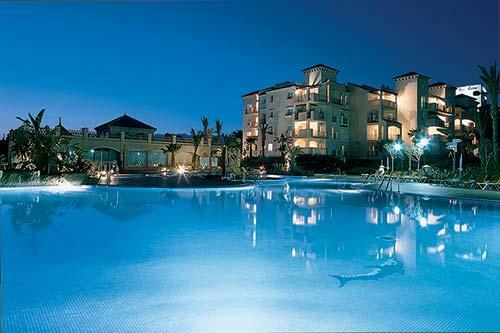 To view a selection of timeshare for sale at Marriott's Playa Andaluza click here. 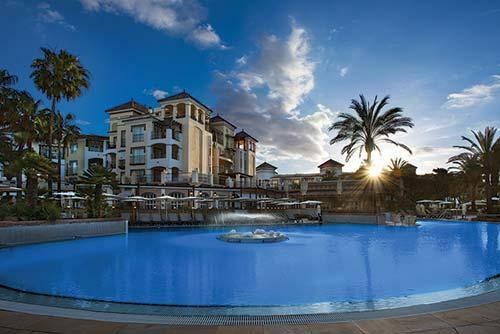 Paradise unfolds with timeshare ownership at Marriott Marbella Beach Resort, located in Elviria on the Costa del Sol. This resort has its own soft, sandy beach, and is right next to the Don Carlos and Nikki beaches, giving you a choice in where you'd most like to rest and relax. A fantastic and atmospheric destination for couples, families, group or solo travellers, it has something for everyone. Facilities include two outdoor pools - one for children and one for adults - along with a play area, mini golf, and a football court. For those grown-ups that might like some serious R&R, there is also an indoor adult-only pool, a sauna, and enough sun beds for plenty of bathing in the glorious Mediterranean sun. 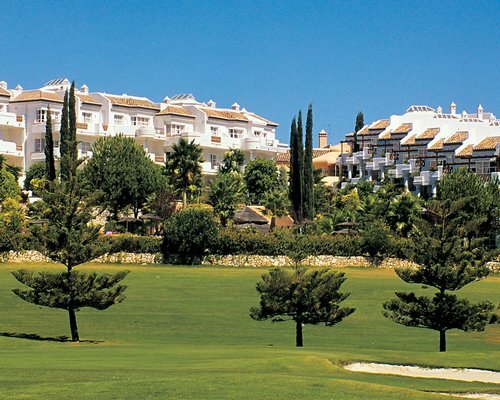 To view a selection of timeshare for sale at Marriott's Marbella Beach Resort click here. 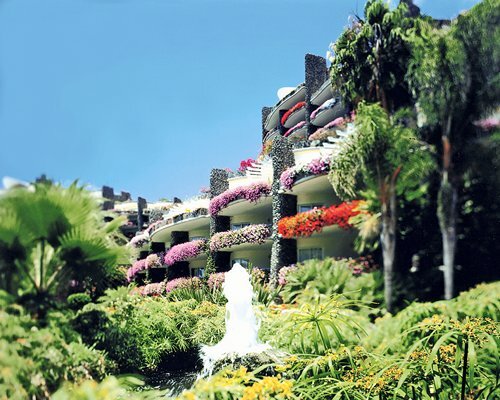 This fantastic resort in the Canary Islands can be found on Tenerife's southern coast on a hillside. 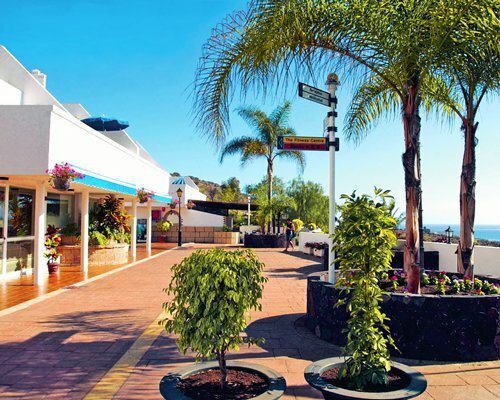 The resorts tranquil location offering wonderful views of the Atlantic Ocean and Playa de Las Americas. Visitors to Club La Costa Monterey will find the area features plenty of attractions including a casino, bars, restaurants and shopping centre to allow guests to stock up on supplies. There are also two water parks found nearby plus the nearest beach is just a kilometre away allowing much to do for all the family. Timeshare owners visiting the resort will find the reception to be informative offering details about local activities available so guests are recommended to ask. Despite this Travel and Leisure Group recommends guests rent a car to truly enjoy the area. To view a selection of timeshare for sale at Club La Costa Fractional Ownership Monterey click here. 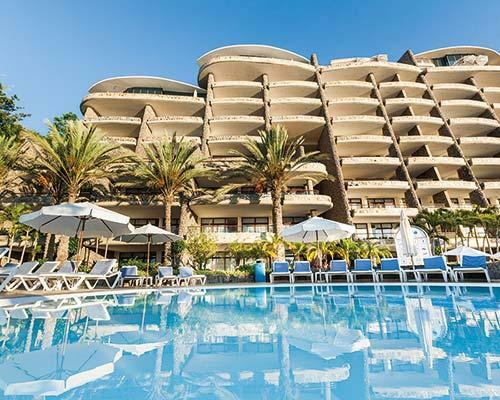 Part of Anfi del Mar resorts based near Arguineguin, Club Monte Anfi has over one thousand apartments in the eleven storey high timeshare complex. These boast spacious, modern, air conditioned units which are maintained to a good standard by the friendly and helpful staff. They are plush with nice décor, a well-stocked kitchen with fridge freezer and all utensils, with a TV/DVD player in the lounge area and Wi-Fi throughout. In the bedrooms, there is plenty of storage along with a safe. Owners at the resort have access to the facilities at all four clubs in Anfi del Mar, which all have their own security. A spa, gym and ATM's are available as well as car hire and medical facilities and of course swimming pools. There are events during the day for adults and children. 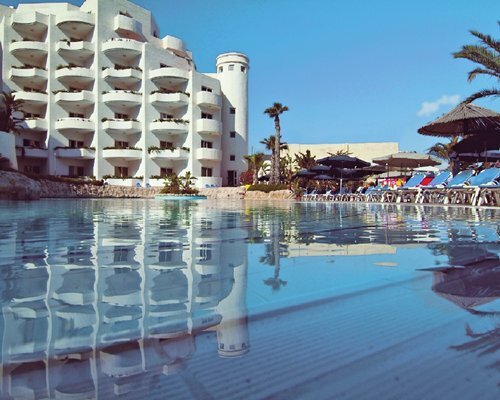 To view a selection of timeshare for sale at Club Monte Anfi click here. To view a selection of timeshare for sale at Sahara Sunset Club click here. To view a selection of timeshare for sale at Anfi Beach Club click here. Forming part of Heritage Resorts' unique portfolio of luxury holiday and leisure destinations, Matchroom Country Club can be found near Fuengirola, Spain, just four miles from the beach and thirty minutes' drive from Marbella. Travel and Leisure Group know that this is an ever-popular location on the Costa Del Sol, well known for its accessibility with good transport links via road, rail and bus. The town offers guests a range of activities include five miles of sandy beaches, tapas bars, restaurants and a range of golf courses for the keen golfer. To view a selection of timeshare for sale at Heritage Resorts - Matchroom Country Club click here.